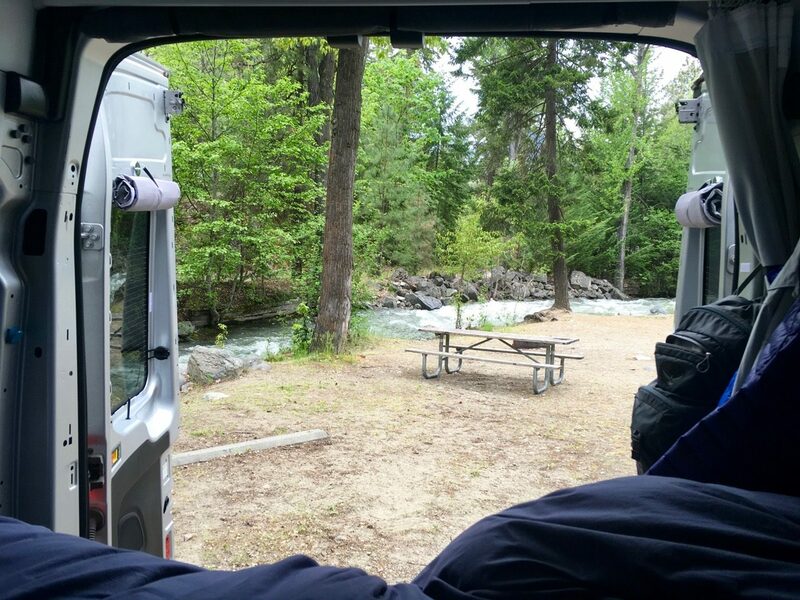 What has been so enjoyable about our road trips is that we rarely have a destination or duration in mind when we set out. 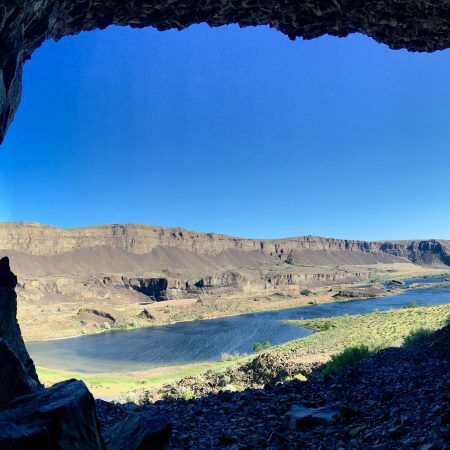 Equipped with a Delorme Road Atlas, our iPhones and a responsive touch on the steering wheel and brakes have allowed us to discover some pretty great locations. 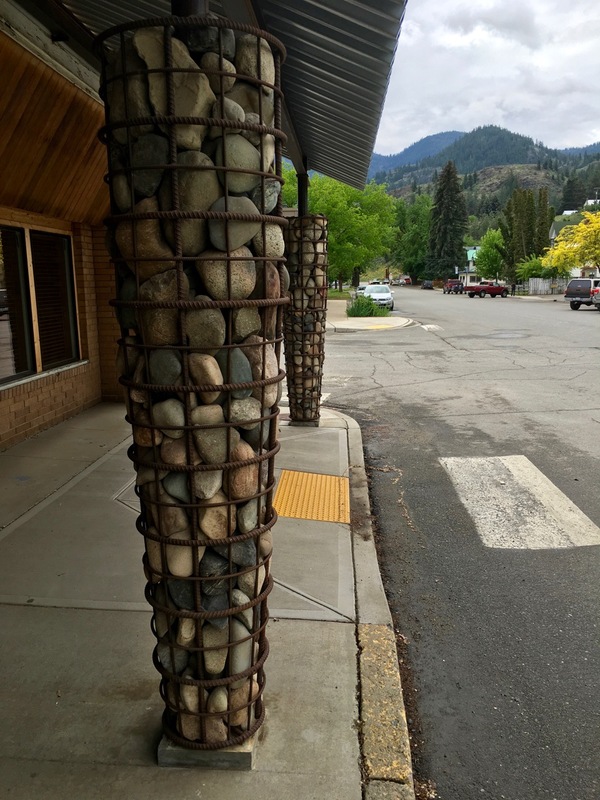 April 30: We were summoned to Wenatchee to help David’s sister get settled in her new house, so we decided to explore the surrounding area while we were that far north. 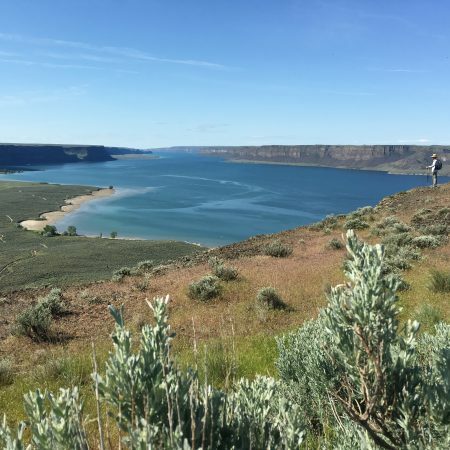 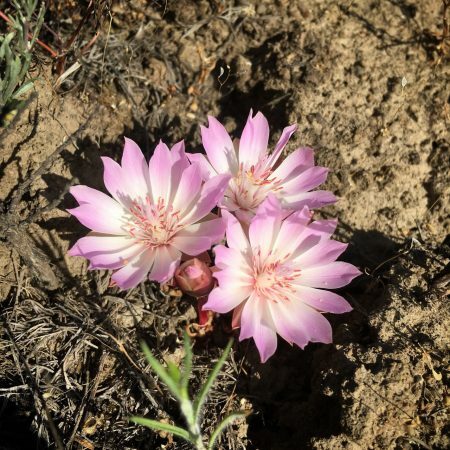 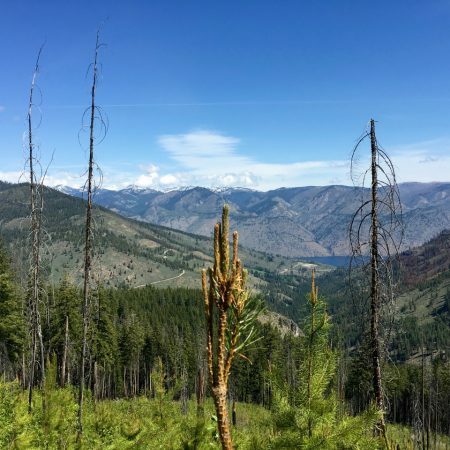 May 3: Released from our familial duties, we fueled up in Entiat then drove along Lake Chelan’s western edge to the Twenty-five Mile Creek State Park. 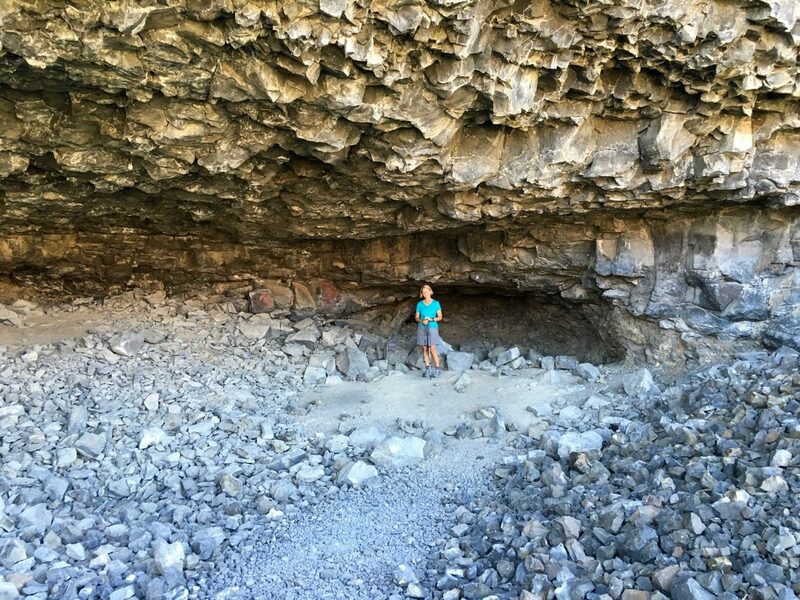 We found a great little spot by the rushing creek. 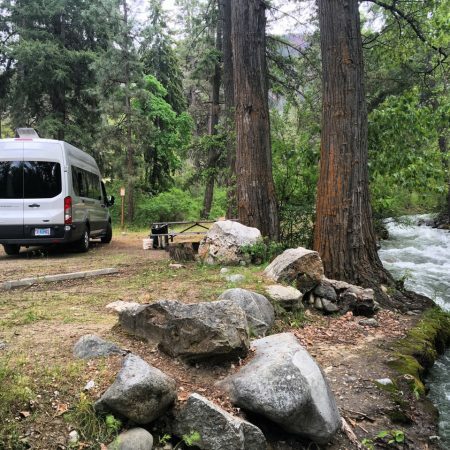 High winds and rain arrived as we listened to the eerie clunk clunk sound of rocks tumbling downstream all through the night. 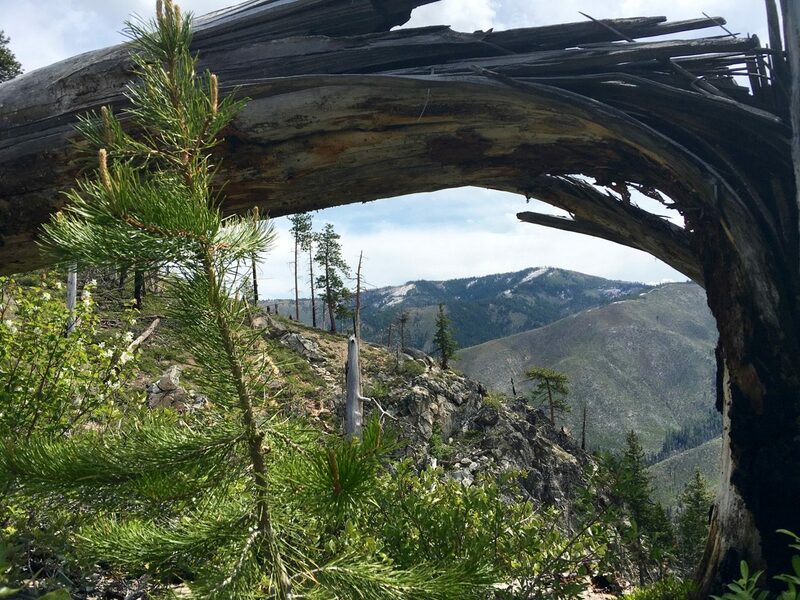 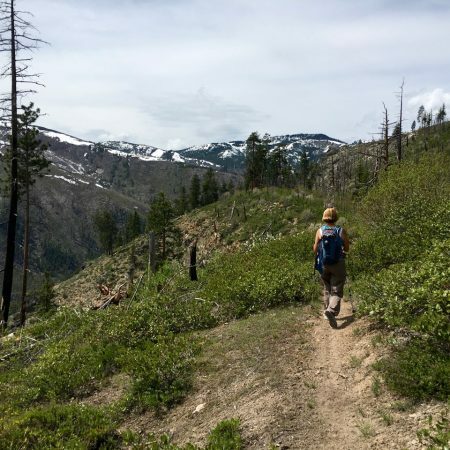 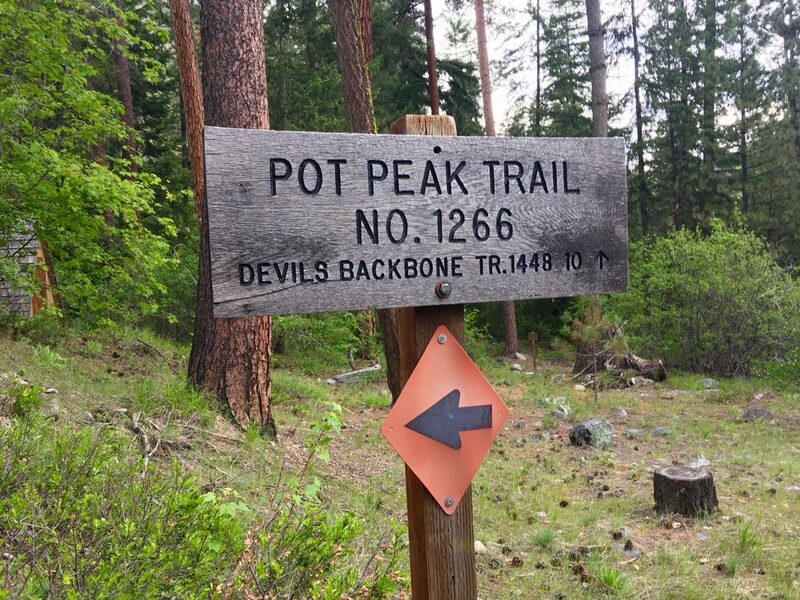 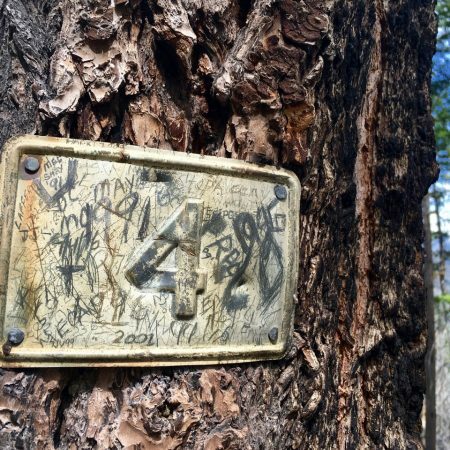 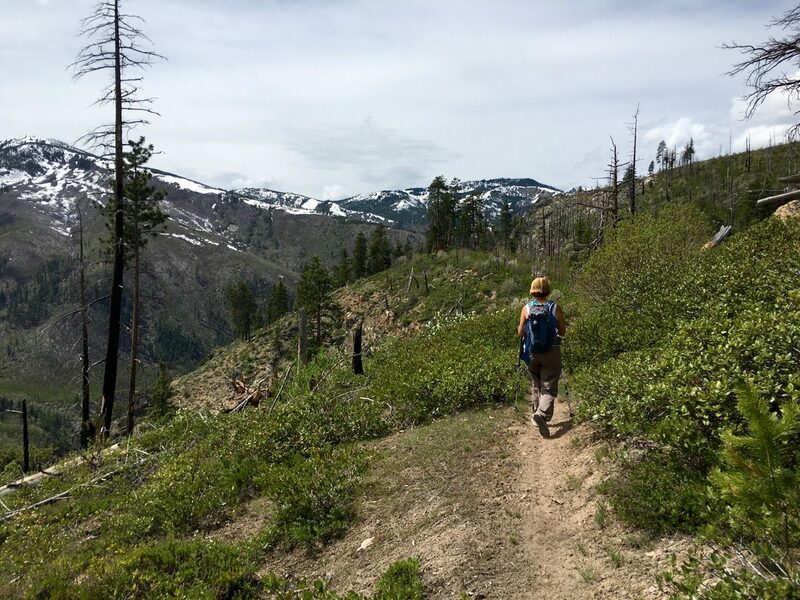 May 4: We hiked 8 + strenuous miles up to Pot Peak (the trailhead from Snowberry Campground is about 15 minutes away from the Twenty-five Mile Creek). 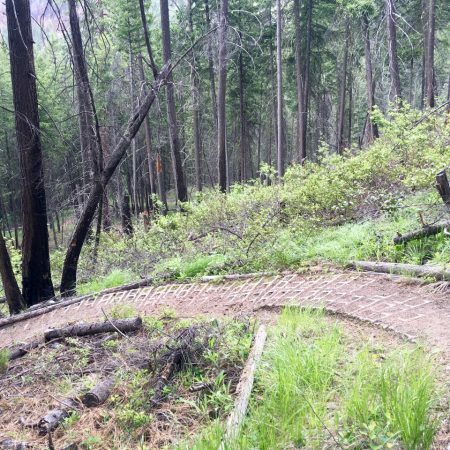 Washington’s trail designers are much more aggressive than in neighboring states, and seem to want to just get it over with and incorporate as few switchbacks as possible. 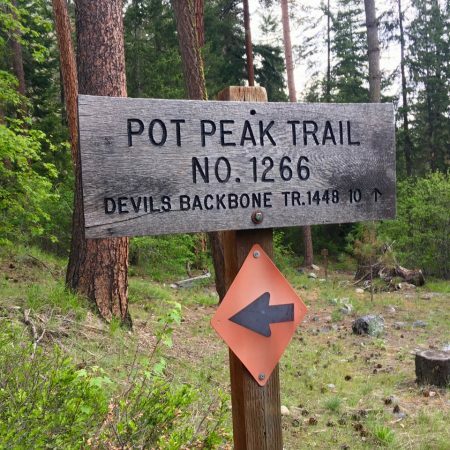 Many of the steepest stretches were constructed with hollow concrete pavers to preserve the terrain for mountain bikers. 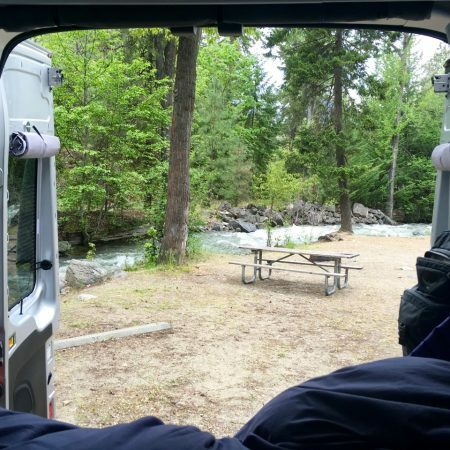 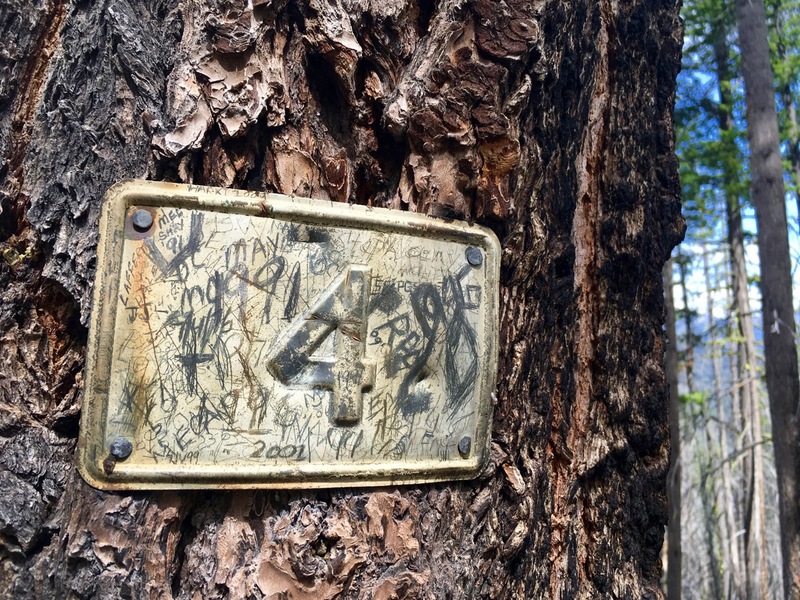 That night, we camped on the south end of Lake Chelan at Lakeshore RV Park, which we wouldn’t recommend— too much road noise. 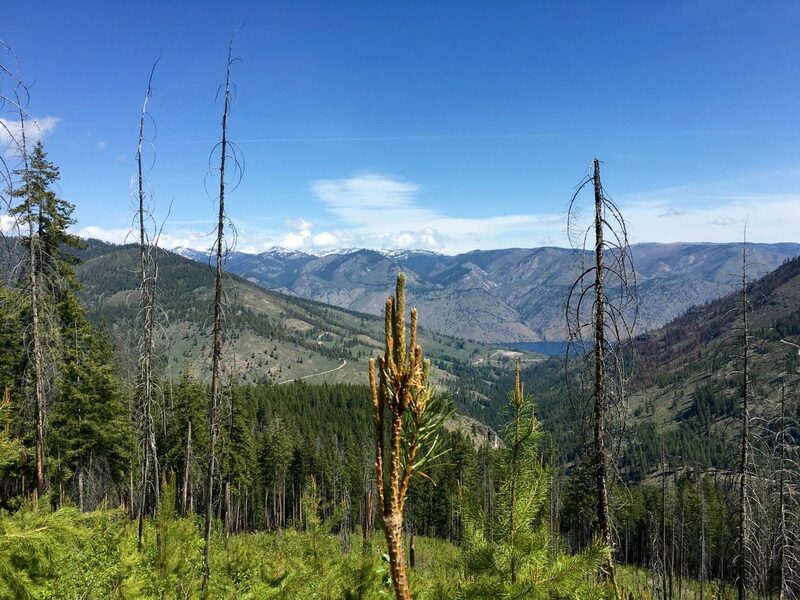 May 5: We spent most of the day driving along Hwy 153 through areas that were heavily burned in 2014— Twisp, Winthrop and the Methow Valley. 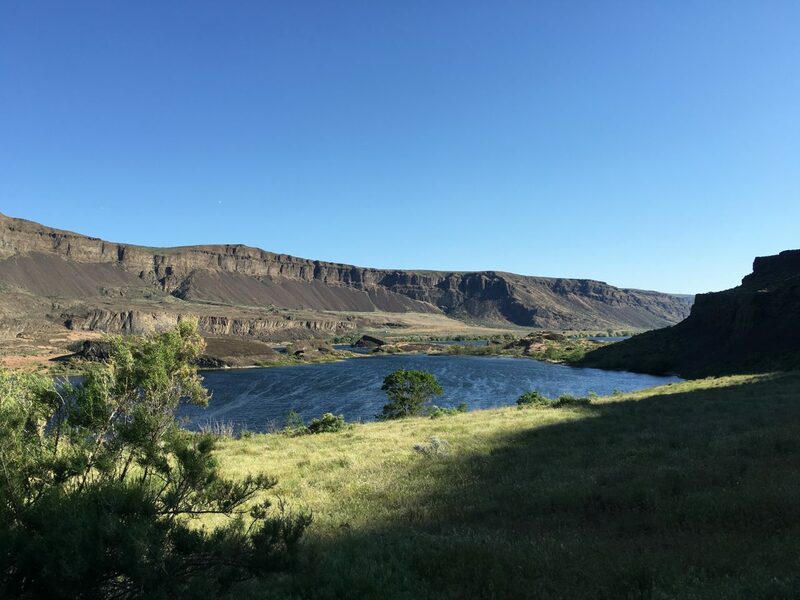 Turning east onto Hwy 20, we eventually dropped down along the Columbia River basin and admired the 1950s vibe of the signage and architecture along the Grand Coulee Dam. 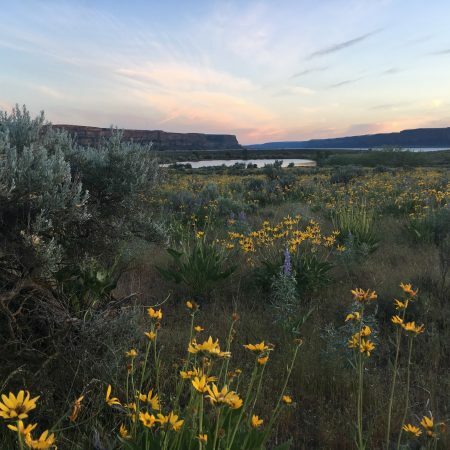 That night, we camped at Steamboat Rock State Park, which was beautifully maintained, lush green and carpeted with wildflowers this time of year. 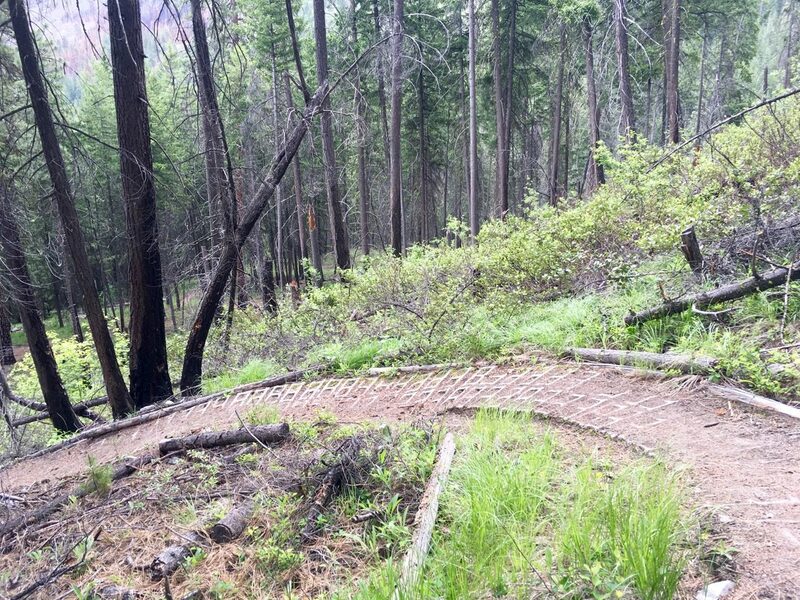 Flocks of Canada geese and wild turkeys loved it too. 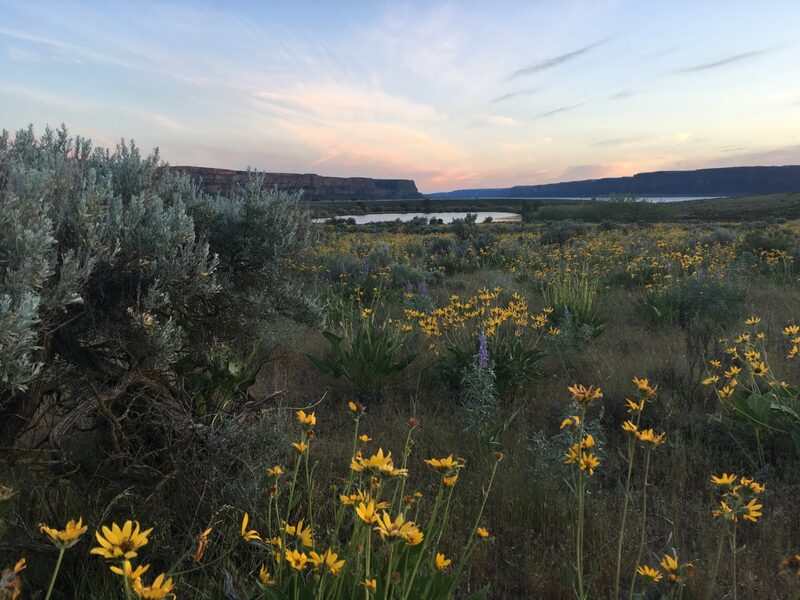 We took a long walk along the base of Steamboat Rock as the sun set. May 6: Before it got too hot, we hiked 3.5 miles up to the top of Steamboat Rock, which rises 900 feet above Banks Lake. 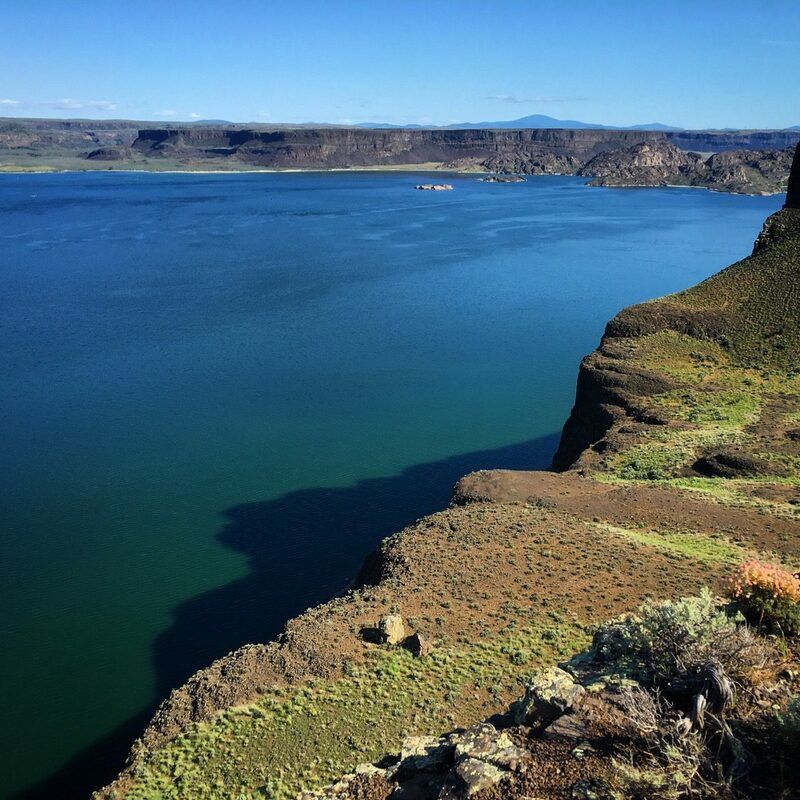 It is one of many “lakes” formed from one of a dozen hydroelectric dams that tame the mighty Columbia River. 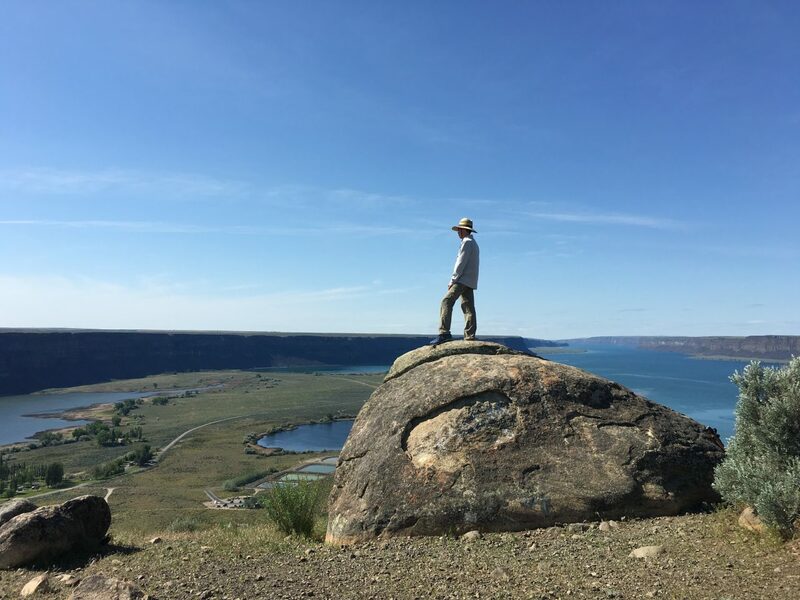 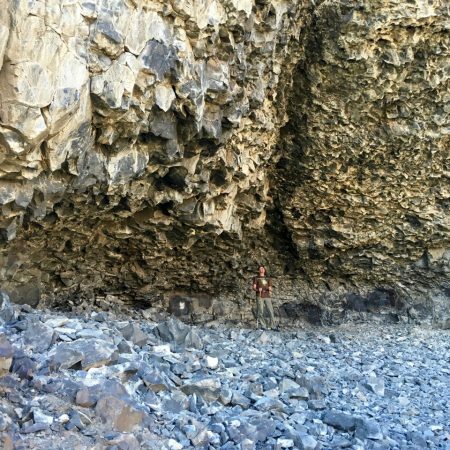 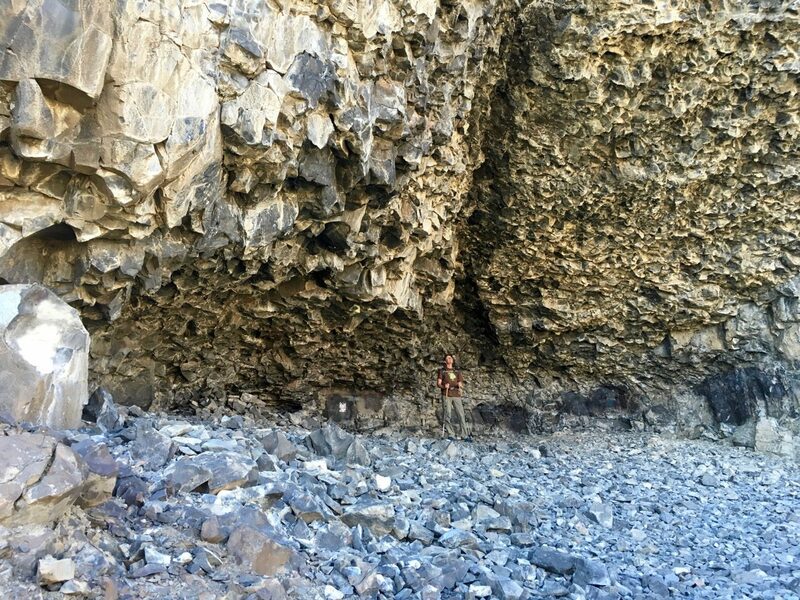 If you’re at all interested the crazy geology of eastern Washington, check out “Bretz’s Flood: The Remarkable Story of a Rebel Geologist and the World’s Greatest Flood”. 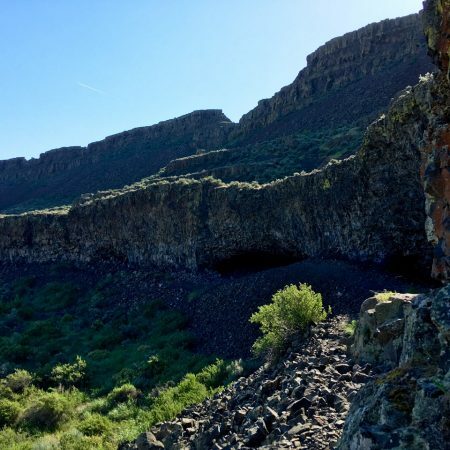 It does a great job of putting these mind-boggling geologic formations into perspective. 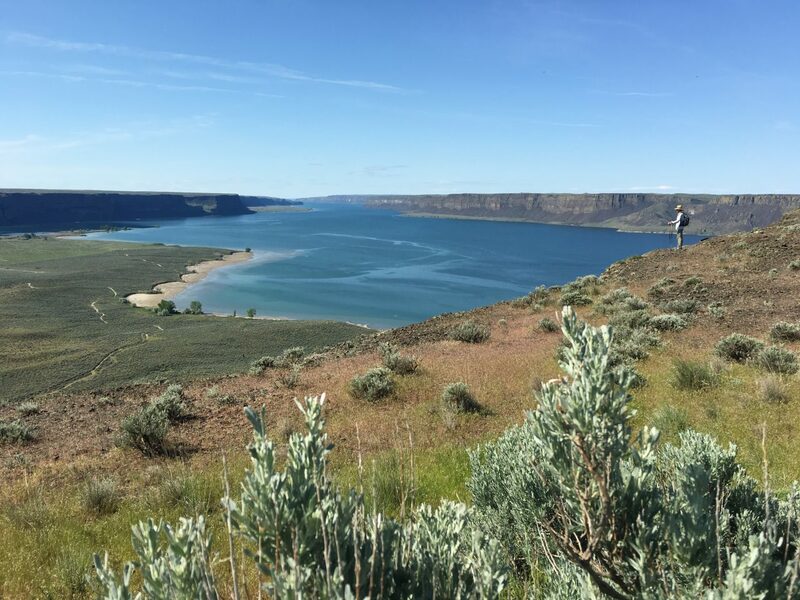 In the afternoon, we continued south on Hwy 155 along Banks Lake. 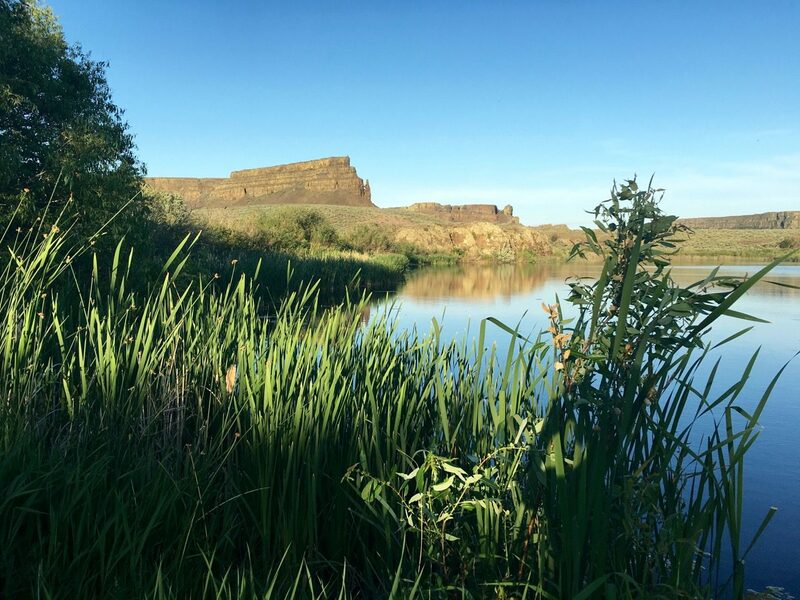 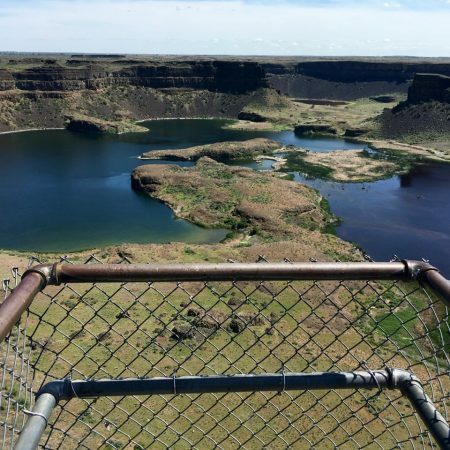 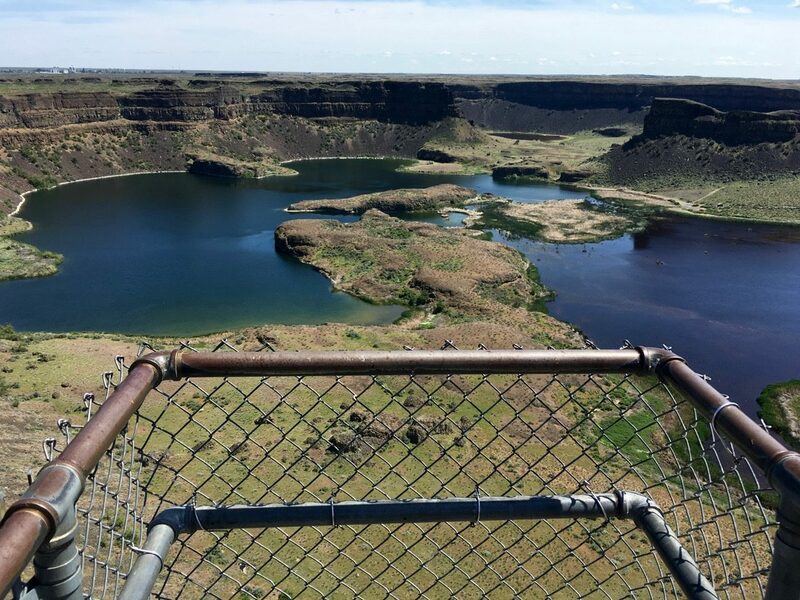 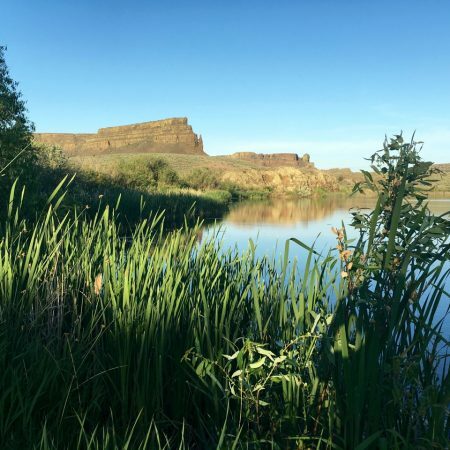 At Coulee, we turned onto Hwy 17 and stopped at the many overlooks along the Sun Lakes- Dry Falls State Park. 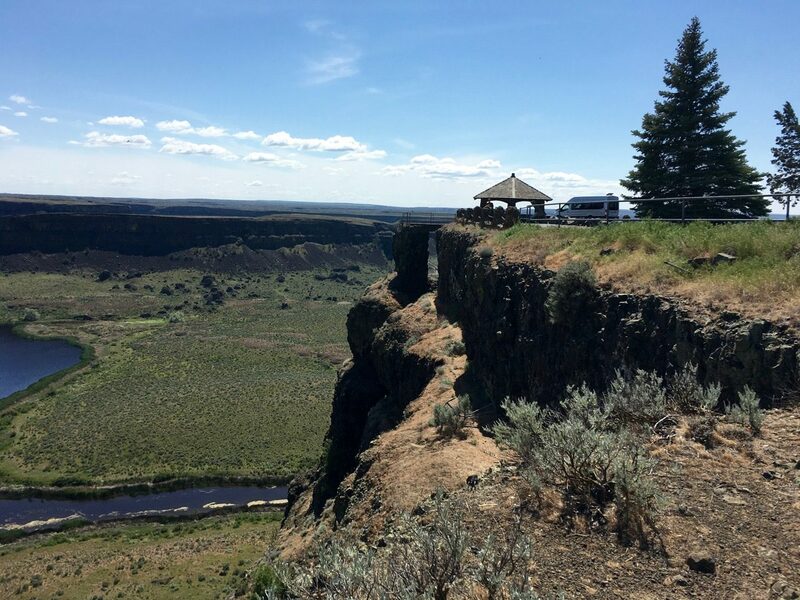 The Dry Falls Visitor Center has good interpretive displays about the long-ago Missoula Flood. 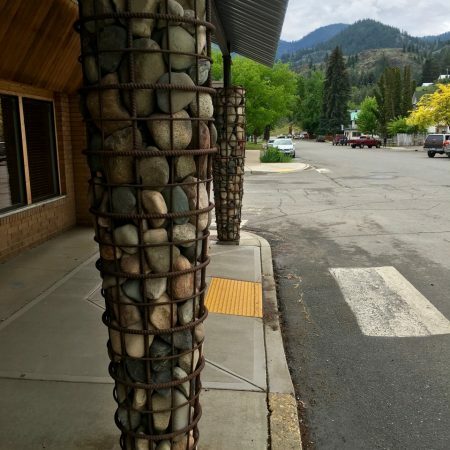 Sad that neither of us got a photo, as it is a gorgeous example of mid-century modern architecture with just about the worst accessibility. 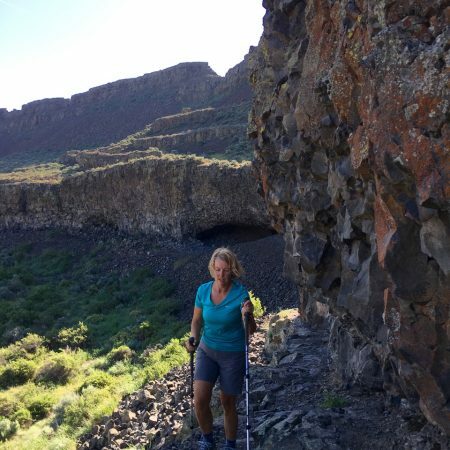 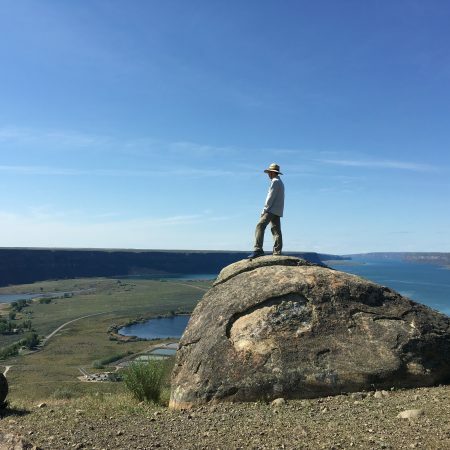 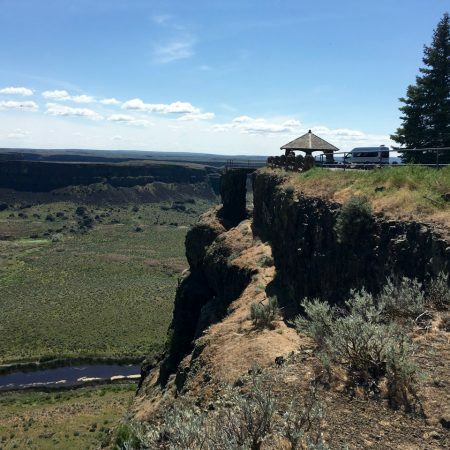 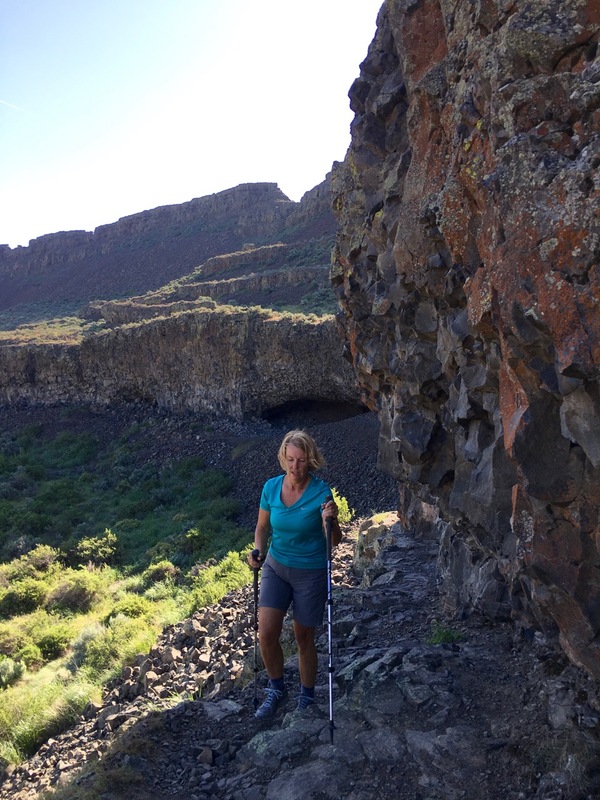 Before selecting a likely camping spot, we checked out a couple of loops in the Dry Falls State Park area and found a buggy but marmot-free spot in the newer area along the golf course. 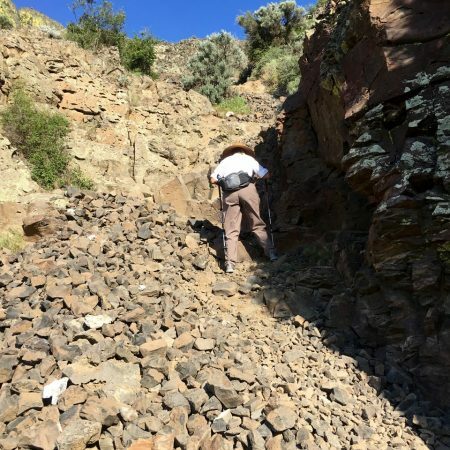 There are two loops in the back, away from the large marmot village that plagues the older portion at the base of the scab-rock and scree fall zone. 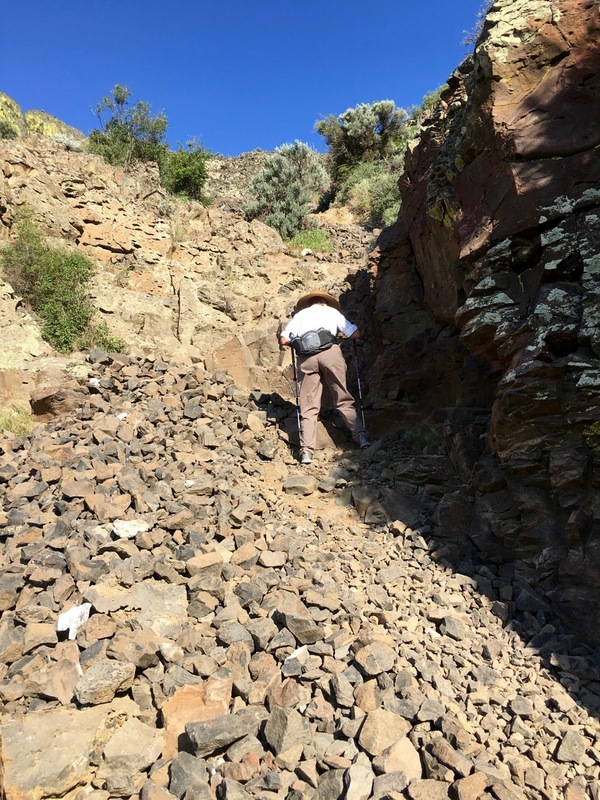 Picture dozens of lemmings scurrying about, hiding under the dumpsters or racing back to the rock piles. 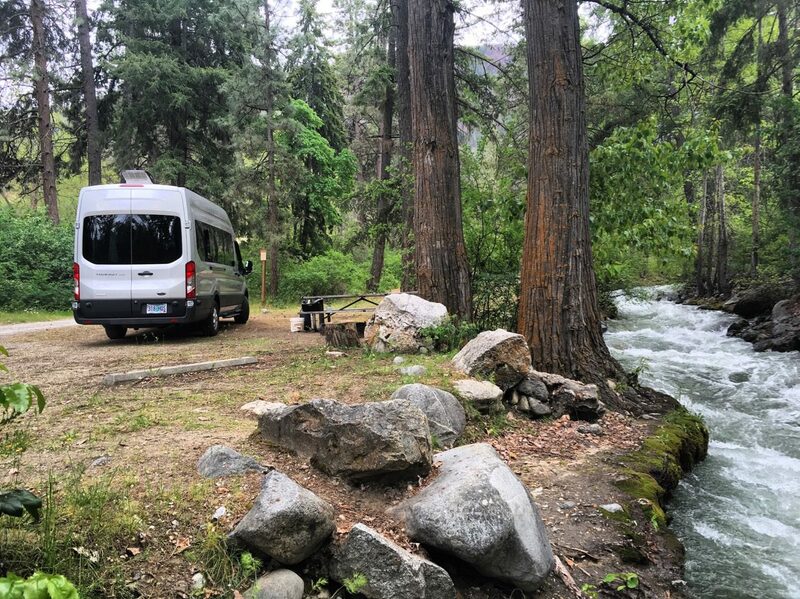 We opted for mosquitoes, rather than risk the van’s hoses to these chewy rodents. 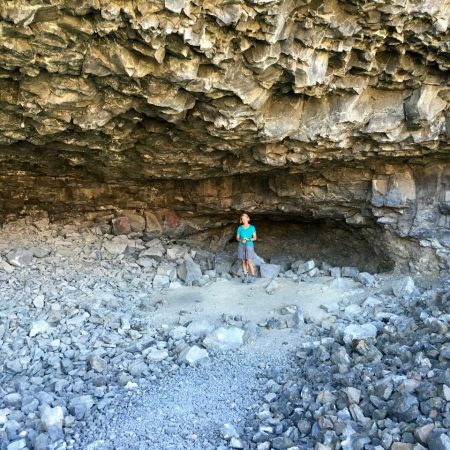 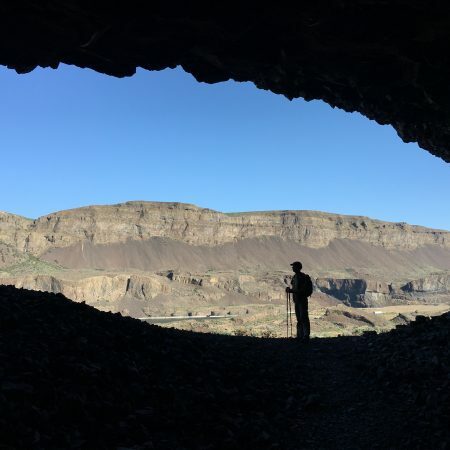 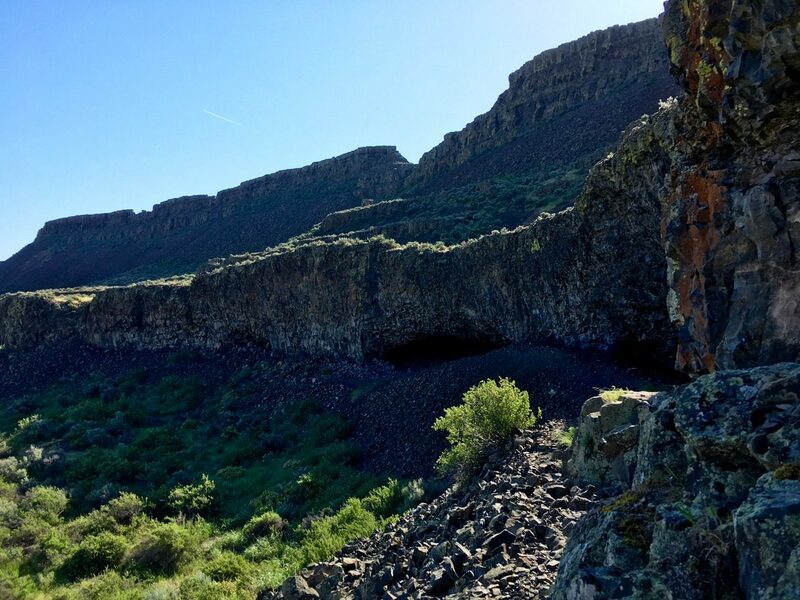 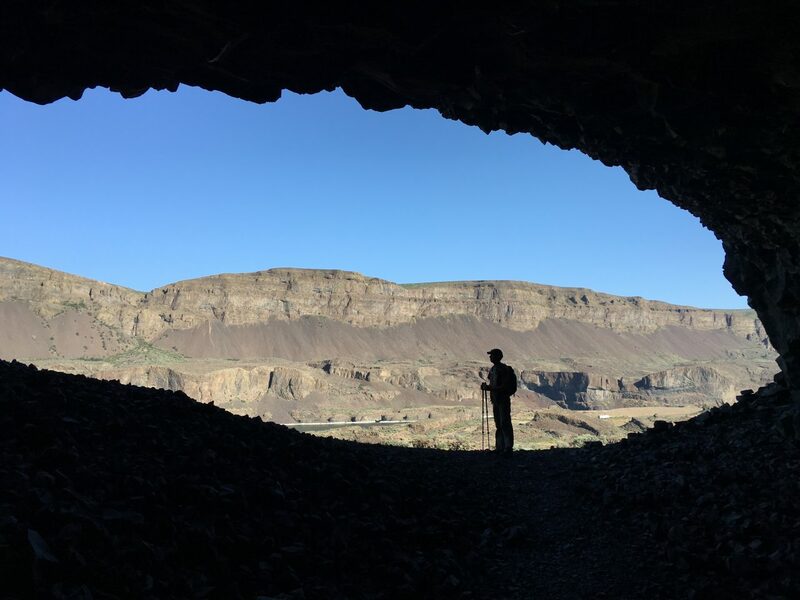 May 7: In the cool morning air, we hiked up to the Lenore Lake Caves created during the Great Missoula Flood as water pulled chunks of basalt from the walls of the coulee. 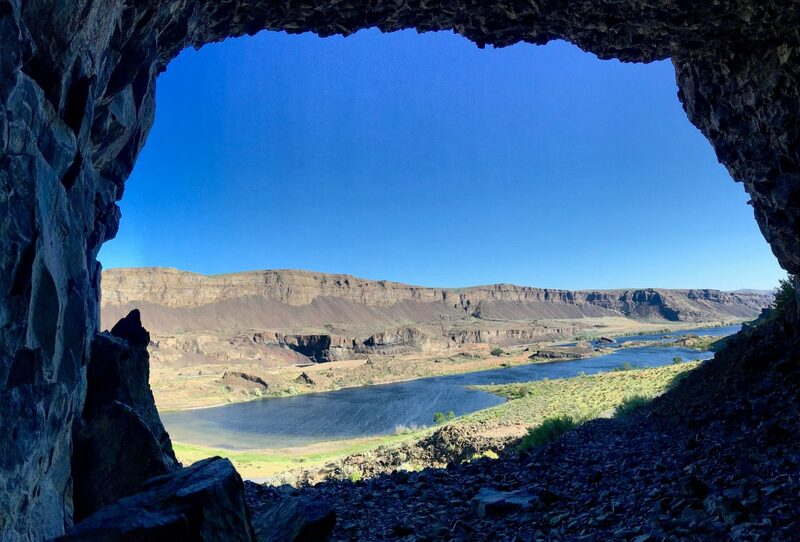 While they are shallow, the views from inside of the valley below are spectacular. 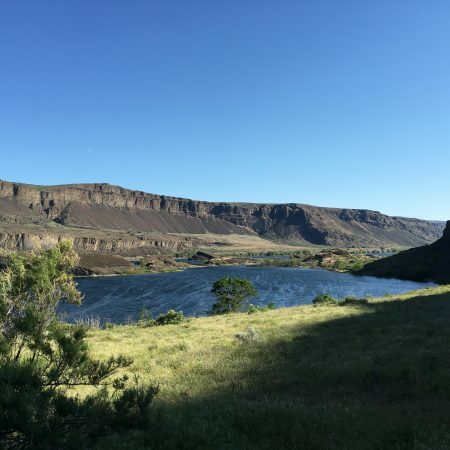 We returned to Wenatchee on Saturday in time to celebrate Mother’s Day (Sunday, May 8) with David’s family. 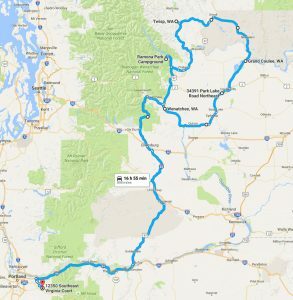 Skilled driving was necessary to negotiate the usual incredibly high winds from Yakima all the way home.